This is true brain power! 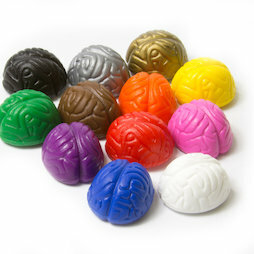 The plastic brains with press-fitted strong neodymium magnets are available in an assorted set of 12. Each of them can hold 15 A4 sheets even on a smooth whiteboard surface!